Nassella neesiana (Trin. and Rupr.) (Chilean needle grass), native to South America, has naturalised sporadically in the UK, France, Italy and Spain, and more widely in Australia and New Zealand, where it has become a serious grassland weed. As a first step towards a global risk analysis we project a CLIMEX model of N. neesiana distribution globally under current climate and six future climate scenarios. Under current climate, areas not yet invaded, but climatically suitable, are eastern and south-western Africa, the north-west coast and south-eastern USA in North America, high-elevation areas in Central America, south-eastern China, northern Africa along the Mediterranean Sea, parts of Nepal, India and Pakistan, and Europe. Under the future climate scenarios, a mean global reduction of 32% in the area of suitable climate is projected, with marked reductions in the native range (34%) and also in Africa (67%), Asia (30%), North America (36%), and Australia (42%). These range contractions are primarily attributable to projected increases in temperatures leading to lethal heat stress excluding the plant from areas currently designated as sub-tropical and tropical humid. By contrast, projected expansions eastward in Europe and westward in New Zealand, result in increases in suitable area of 70 and 60%, respectively. Based on these results, which were consistent across the climate-change scenarios, the countries most at risk from N. neesiana are located in western and eastern Europe. A prudent biosecurity strategy would be to prevent the species spreading from the nascent foci already established there. 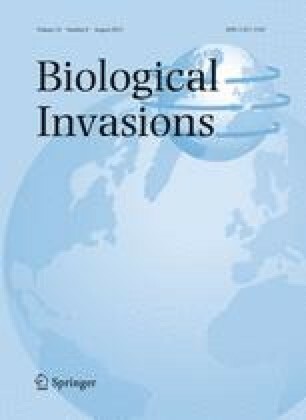 Such a containment strategy would require controls to limit human-assisted dispersal of the species’ fruit and to ban the species from propagation and distribution throughout Europe. This work was funded by the Foundation for Research, Science and Technology, New Zealand, as part of Undermining Weeds (C10X0811).